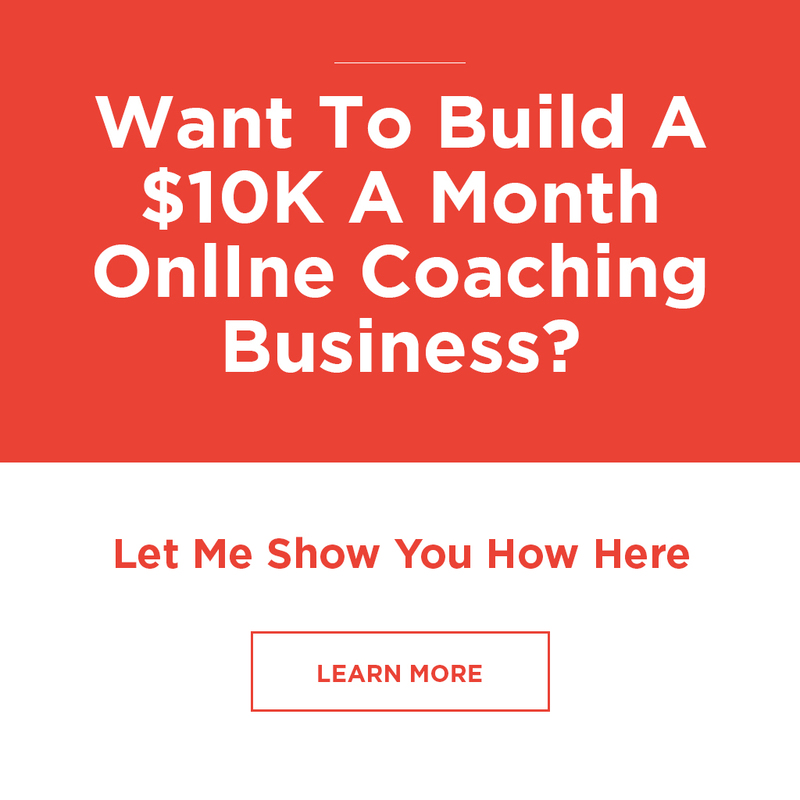 Coaches… You want more freedom, and ultimately more… income — yeah? Well, of course you do… who would ever say they have enough money? Then how come so many personal trainers struggle to get clients… much less more free time. A quick scroll through instagram shows plenty of “online personal trainers”. And looking at the coaching business from above it’s easy to see that the market is saturated. If you’re like most personal trainers working right now you’ll know exactly how I felt when starting. There was the feeling of always being “ON”… unable to unplug and be with my family… I felt guilty all the time. And I felt stuck. Every-time I take a step forward It seems like I take two steps back… and it is frustrating. Because I knew I was a good trainer. So why is it so hard to get past this invisible ceiling I keep hitting? Is it really supposed to be this hard??? Thats what I was thinking back in 2014. I was struggling as a coach. I was struggling as a father. I was struggling as a husband. I was in the trap. This is what we call the ‘Time-For-Money’ trap. You’re selling your most precious asset… YOUR time. Anytime you want to have time off, spend time with your family, go on holidays (touch wood; ever get sick) you’re losing money. Because you’re not in the gym training clients. This is a scary place to be. As it gave me and my family ZERO financial security for the long term. Totally onfused with the 100’s of different things you could be doing right now to build your business. You could be shooting videos, running Facebook Ads, writing blog posts, posting on Instagram… ‘Hoping’ it brings in new clients. And it worked for them just like it had for me. Looking forward chatting soon. Chris. So, You’re A Dad And A Personal Trainer? !